Usage Direction: Pour onto moistened sponge, washcloth or hands. Work into a rich, creamy lather and rinse. I love scented products especially bath and body care products and my heart gets over excited when that product comes with effective ingredients and in a beautiful packaging. However, there is no information given regarding this particular brand on the internet!! When I Googled Natrapari, the pages show various online portals selling Natrapari products, except Redmart, where I could find a little information about the brand. 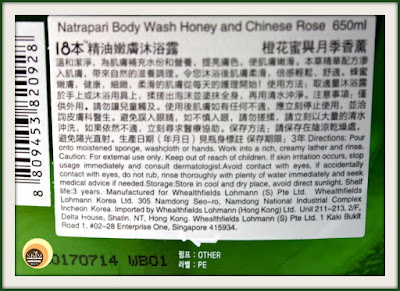 From there, I got to know, Natrapari is a Korean brand and I had been using Korean body care products. Great!! 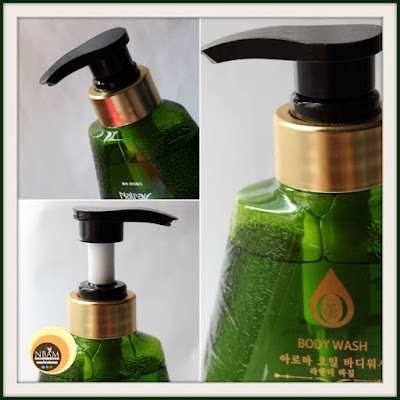 Anyway, both the body washes come in tall, deep green coloured, opaque, 650ml plastic bottles with a black pump dispenser. They look almost same at a first glance but when observed carefully one can find their front logo design is different! 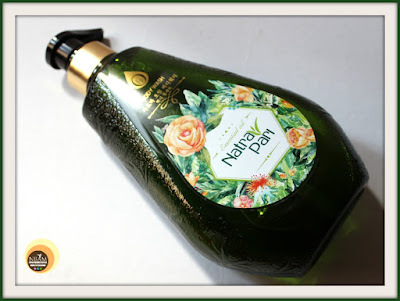 Chinese Rose shower gel has roses whereas Verbena one has citrusy fruits design. The pump dispenses the product smoothly but the packaging is not travel-friendly at all. Maximum product details are given on the packaging itself. Coming to the texture and colour, both Lavender-Verbena and Honey-Chinese Rose have similar gel type texture with a semi-thin consistency and are pale green (almost transparent) in colour. Lavender-Verbena body wash has a strong, refreshing citrusy scent whereas Honey-Chinese Rose body wash has a mild, floral fragrance to it. As you people know, my body skin is dry, I always look for moisturizing body wash. When I spotted these products, I noticed, they contain essential oils and other moisturizing ingredients. True to their claims, they are moisturizing in nature. I required using a small amount of these body washes to clean my skin. Both the products when mixed with water create a rich lather and get easily washed off the skin as well without leaving any residue! So if you are a foam-addict person, you’ll love them for sure. Both are effective at cleansing without stripping the skin of its natural oil. Post usage, I didn’t need to run for moisturizer immediately. My skin would feel fresh and squeaky clean after each use 😊. However, with the Lavender-verbena body wash, I had to apply body oil to my skin afterwards during winters. For my oily skinned Husband, both were equally amazing. We finished both the products within a span of 6 months (each took 3 months approx), so yes, quite reasonable as well! The scent doesn't last long! 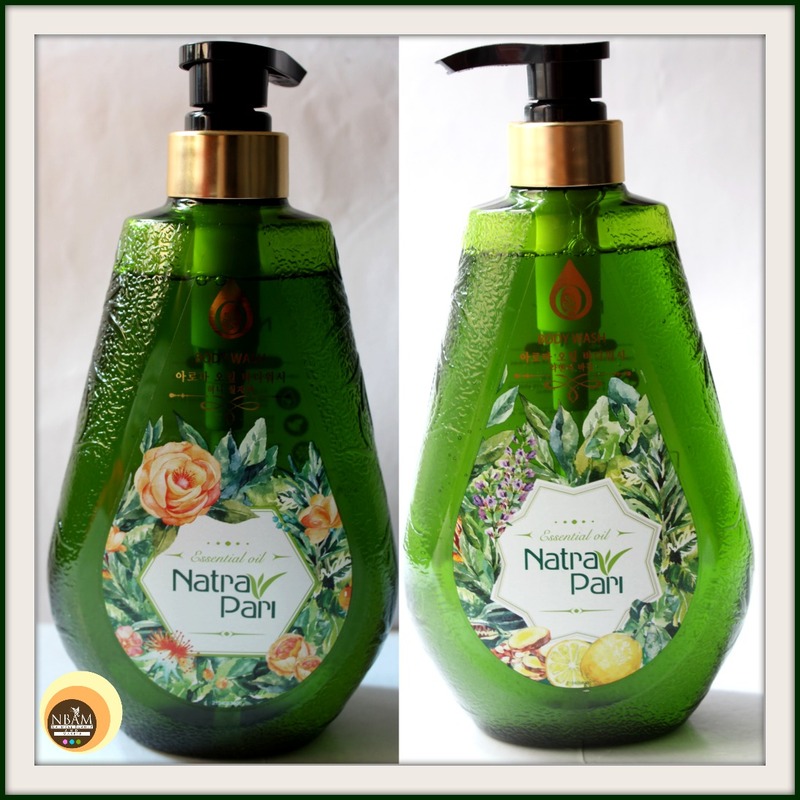 In short, Natrapari Essential Oil Lavender-Verbena Body Wash and Honey-Chinese Rose Body Wash, both are pretty moisturizing shower gels. Although they are not completely natural, these didn’t irritate my skin 😊. I would recommend these body-washes to those who have normal to dry skin and love using scented shower gels. 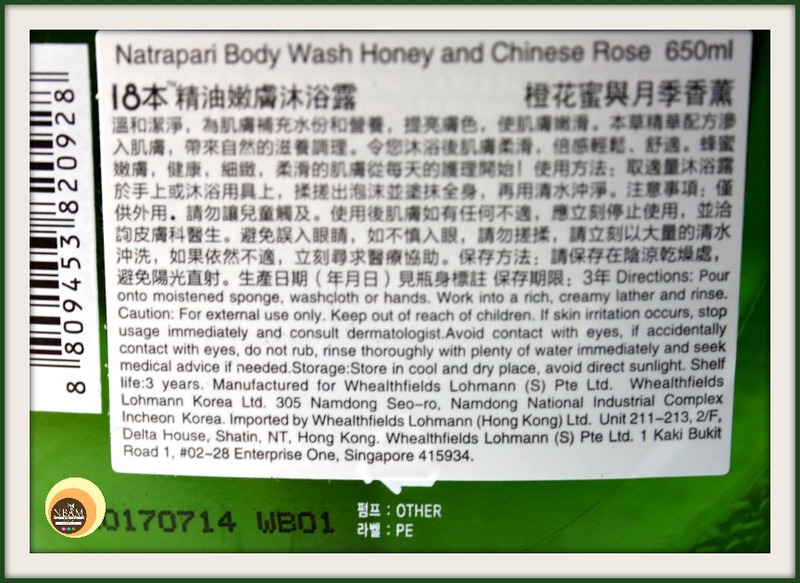 Have You Ever Tried Natrapari Essential Oil Lavender- Verbena & Honey-Chinese Rose Body Washes? If Yes, Please Let Me know In The Comment Section Below. Such a nice review, it sounds really good. And the bottle looks like a winner too. The product looks interesting. Love the packaging.